The Solaris Exo Soft Arm Sleeve provides moderate containment ideal for mild to moderate lymphedema. The soft, smooth materials used allow for all day comfort and are easy to get on. Highest rated arm sleeve by therapists and retails in a blind product comparison. 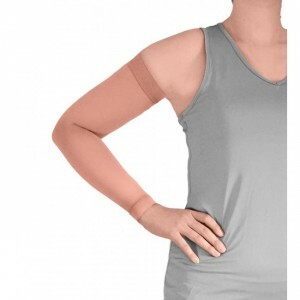 Wide band at the wrist and axilla help the sleeve stay in place and resist rolling. Microfiber materials are comfortable and breathable while still providing containment for mild to moderate swelling. Soft and smooth materials are easier to put on.